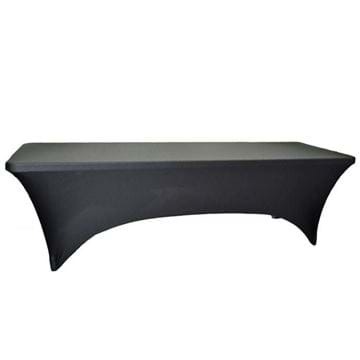 The 6ft rectangle spandex tablecloth fits a 30" x 72" rectangle plastic folding table. 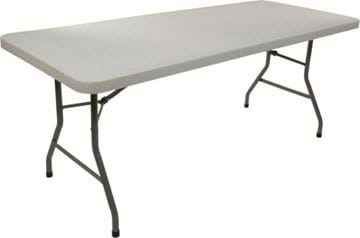 The 6ft rectangle spandex tablecloth, with a fabric weight of 190 gsm, fits a 30" x 72" rectangle plastic folding table. 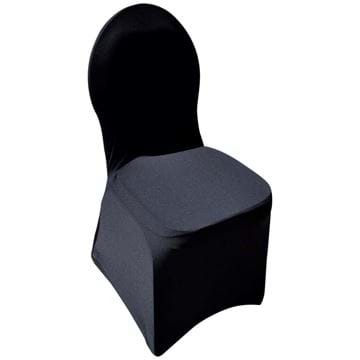 All our spandex tablecloths feature reinforced boots to hold table legs and avoid rips/tears to the spandex. 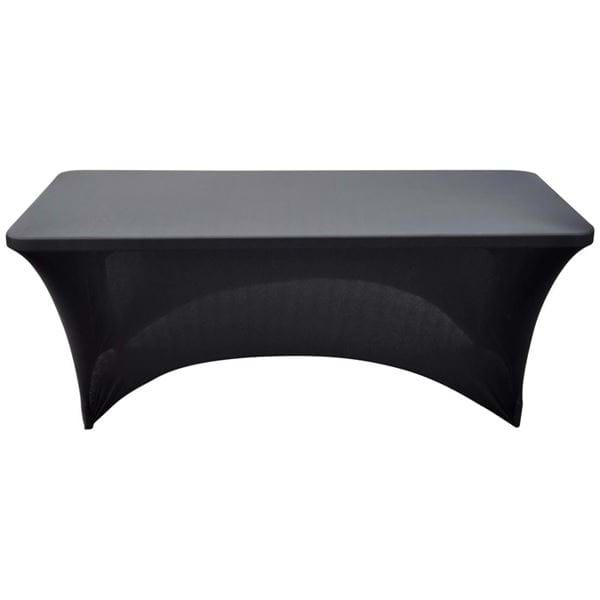 The 8ft rectangle spandex tablecloth fits a 30" x 96" rectangle plastic folding table. 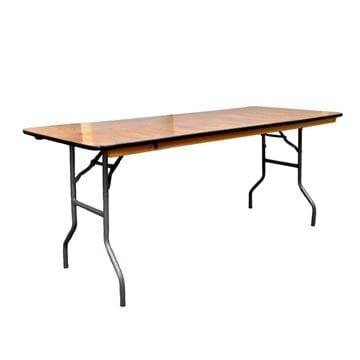 Minimum order quantity of 5 tables. If you're interested in obtaining a sample, please call customer service at 1-800-827-8953.